Urbania reminds me of Ticket to Ride, even though there are no trains involved. Like Ticket to Ride, players have secret goals to achieve, though in Urbania you can declare a maximum of three Objectives and you’ll have to spend an action to put each Objective into play. Play is similar and simple, too. 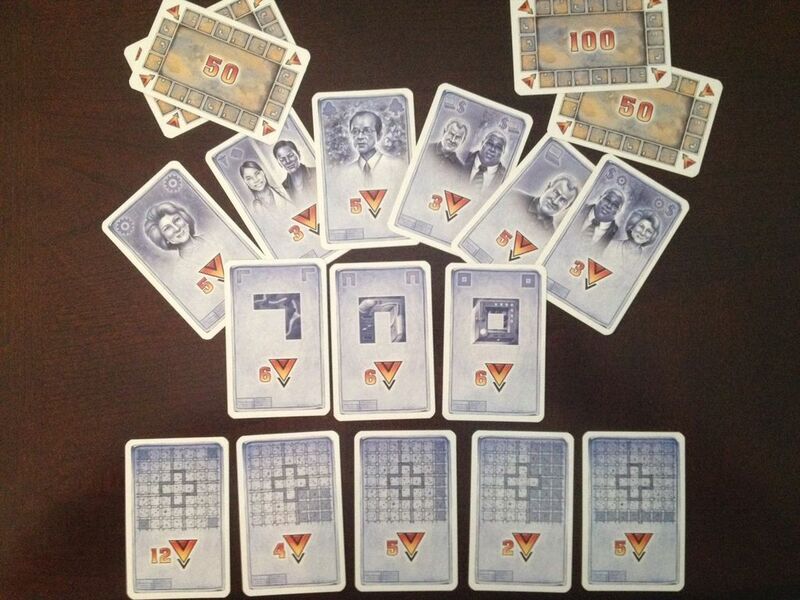 On your turn you can take two cards (any combination of Objective cards or Construction cards); renew an urban area (the theme of Urbania) by playing a set of appropriately colored construction cards; hire a specialist, also accomplished with Construction cards; or declare an objective. What’s different in Urbania is that you get two actions per turn, so you can do any two of the above actions or one of them twice. The Objective cards reward you for renewing particular types of buildings or areas, and advancing one or two particular specialists. 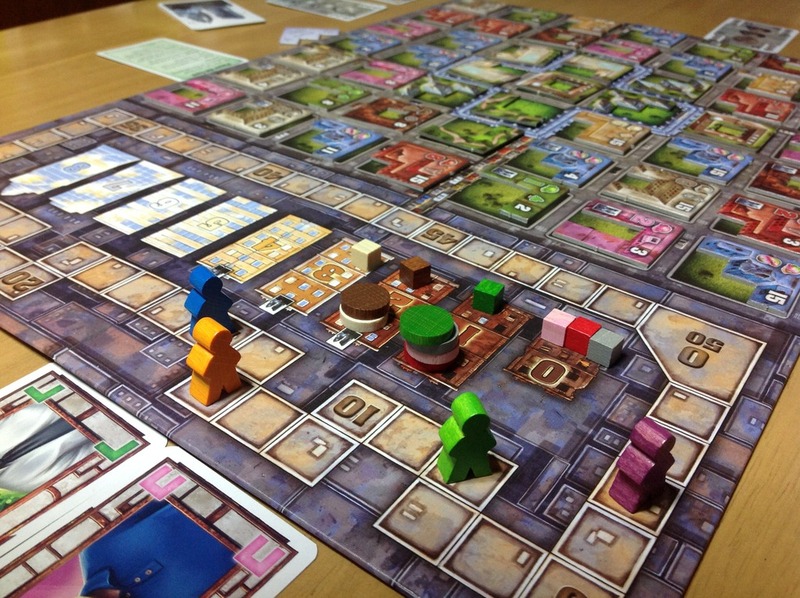 Urbania also features Building and Specialist Tracks that can affect scoring dramatically. Every time an urban area is renewed or a specialist hired, the Building Track or Specialist Track in the appropriate color is adjusted upward. The Building Track increases the value of the specialists and the Specialist Track determines how much it costs to hire each specialist. At the beginning of your turn, you receive points for each specialist in your employ; the number of points you receive is determined by the Building Track. 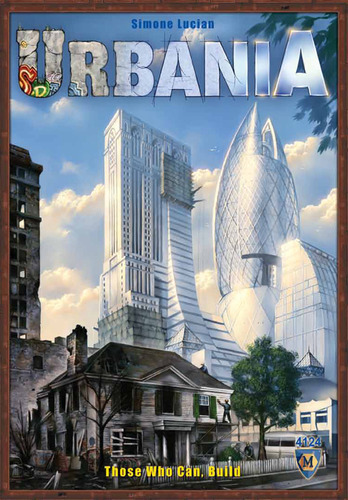 Urbania can, depending on the players, be a light, casual game with players focusing on their urban renewal projects and objective cards or a tight, tactical game with specialists changing hands often as players work to squeeze every point possible out of their plays. In other words, under the deceptively simple rules, there’s a medium-level strategy game, which makes it great for gamers of all levels. 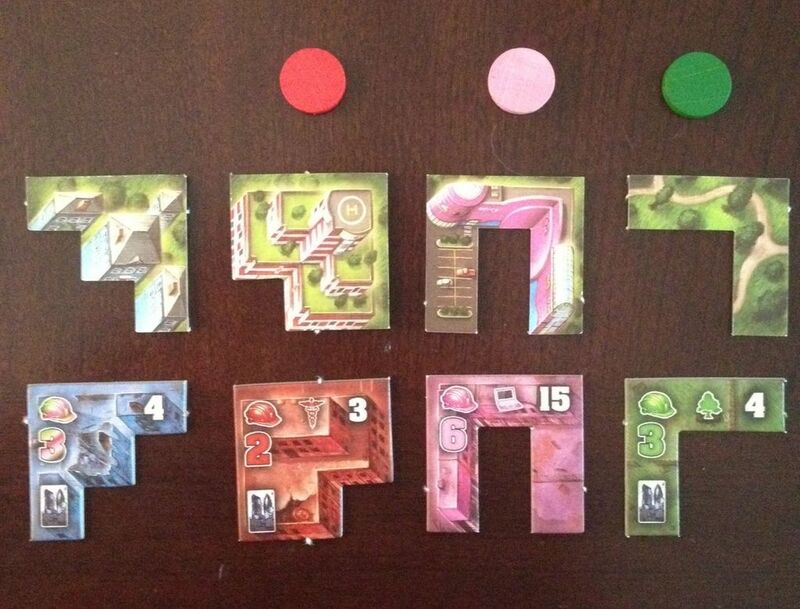 Urbania plays in 45 to 60 minutes and supports 2 to 5 players ages 10 and up. Here Be Books & Games has a copy of Urbania in their Demo Game Library, so they can teach you how to play! Copyright © 2013-2015 by Tina G. McDuffie. All rights reserved.